PCI Powder Coating 2017 Technical Conference Returns to Indianapolis_Jiangsu Faer wax industry Co.,Ltd. The Powder Coating Institute (PCI) is hosting the Powder Coating 2017 Technical Conference this spring from March 27 to 31, at the JW Marriott in downtown Indianapolis, Indiana. Long known as the event where the industry gathers to discuss all things powder coating, PCI is devoting an entire week to powder coating education, hands-on training, tabletop exhibits and networking with industry peers. The event begins with PCI’s Powder Coating 101: Basic Essentials Workshop, offered Monday and Tuesday, March 27 and 28. The workshop includes classroom instruction based on PCI’s Powder Coating: The Complete Finisher’s Handbook, an evening reception where attendees can interact with workshop presenters and other attendees, and a trip to PPG Industries’ powder facility to experience hands-on demonstrations. 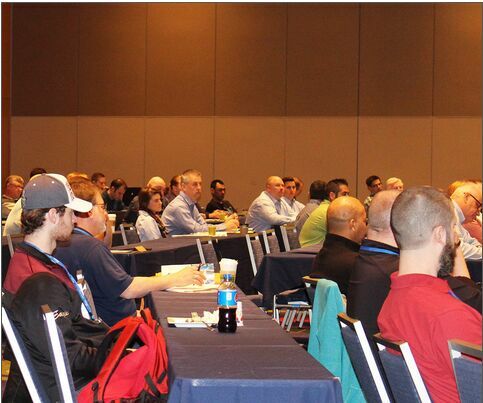 All technical conference sessions take place on Wednesday and Thursday, March 29 and 30, with general sessions each morning, followed by more than 15 breakout sessions. There will be a tabletop exhibition featuring powder coating manufacturers, powder coating application equipment, system houses, chemical suppliers and various services and suppliers that support the powder coating industry, along with hospitality salons sponsored by PCI members. PCI will conduct its Custom Coater Forum on Thursday and Friday, March 30 and 31. The program is created based on the needs of our Custom Coater members and offers valuable interaction among custom coaters sharing tips and information that can positively impact business.